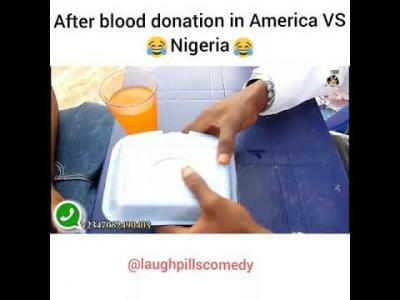 Video: LaughPills Comedy – Blood Donation (America vs Nigeria) 3GP MP4 Download. Blood donation is encouraged all over the world and like other things, some requirements are expected to be met. This guy is so funny. This is exaggerated but still funny. Laughpills Comedy 2018.